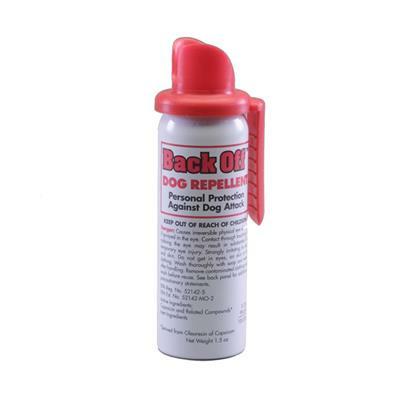 Back-Off Dog Repellent ensures one's safety by effectively providing protection against dangerous dog attacks. The convenient carrying size allows for the unit to be easily accessed in any situation. Back-Off helps to stop the approach of unwanted dogs up to 10 feet and each 1.5 ounce can contains approximately 10 bursts.